SYRIA Nuncio in Damascus: Fr. Mourad "was released," is "resting" and "in good health"
Nuncio in Damascus: Fr. Mourad "was released," is "resting" and "in good health"
Msgr. Zenari confirms news of the release of the prior of the monastery of Mar Elian Al Qariatayn, kidnapped last May. 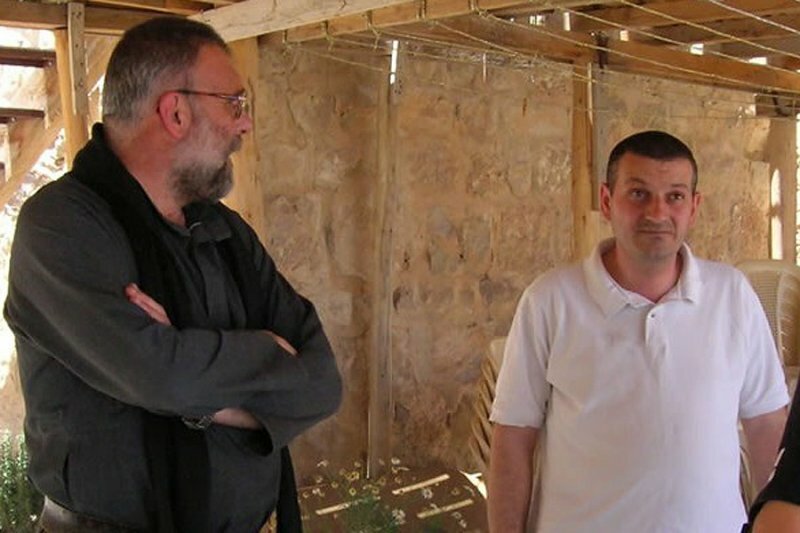 The priest is expected in Damascus, to speak of the details of the kidnapping. No news yet on the kidnapping of Fr. Dall'Oglio. Damascus (AsiaNews) - "Father Jacques Mourad was released on October 10 and yesterday, at about 2 pm, I spoke with him for the first time since his release. He told me he was resting, and in good health". So says Msgr. Mario Zenari, apostolic nuncio in Syria, commenting on the release of the Syrian Catholic priest Jacques Mourad, the prior of the monastery of Mar Elian Al Qariatayn, southwest of Homs, Syria. The priest, famous for the work in favor of interfaith dialogue between Christians and Muslims, was kidnapped last May near the place of worship destroyed in August by the Islamic state (IS). Fr. Mourad, a priest belonging to the same community as Fr. Paolo Dall'Oglio, headed the local Syrian Catholic parish for 12 years. A friend and collaborator of the Italian-born Jesuit priest, hewas one of the first monks of the community of Mar Musa and, in spite of the dangers of conflict and threats of kidnapping, had refused to leave his people. Local sources said yesterday that the priest celebrated his first Mass since the liberation. He is in the village of Zaydal, about five kilometers from the city of Homs, but there is no official confirmation "for security reasons". In August, the area of ​​Al Qariatayn came under the control of jihadist militants who seized about 230 civilians including 60 Christians. Speaking to AsiaNews, Msgr. Zenari confirms the "good" health conditions of Fr. Mourad, with whom "I have spoken a little over the phone, but without going into details of the kidnapping." The prelate reported that, in the coming days, the priest "will arrive in Damascus" and "to divulge the details of the kidnapping." "I can tell you right now - he added – he was relaxed and has no health problems." For the nuncio in Damascus the news of "liberation" is "very positive”. He adds, that there are "particular details" of "great importance" but that cannot presently be revealed.